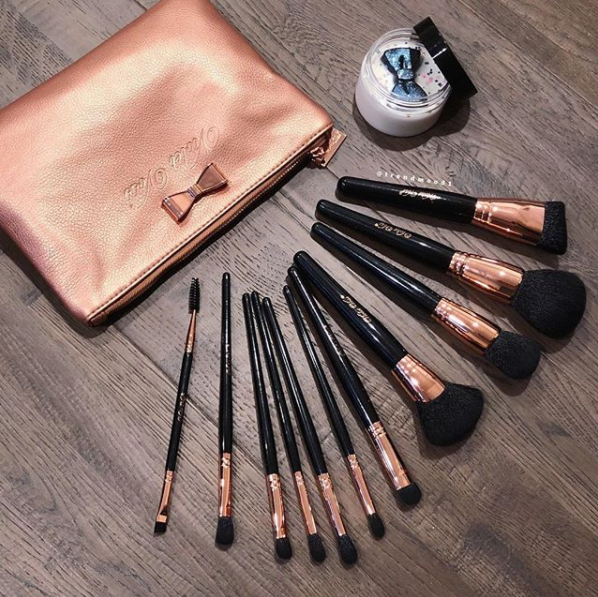 Violet Voss is releasing their Rose Gold Brush Set on Tuesday 12.12! Hold up though – not to be confused with their Rose Gold Palette they recently released. But we sense a theme here. This is their first brush bet ever! 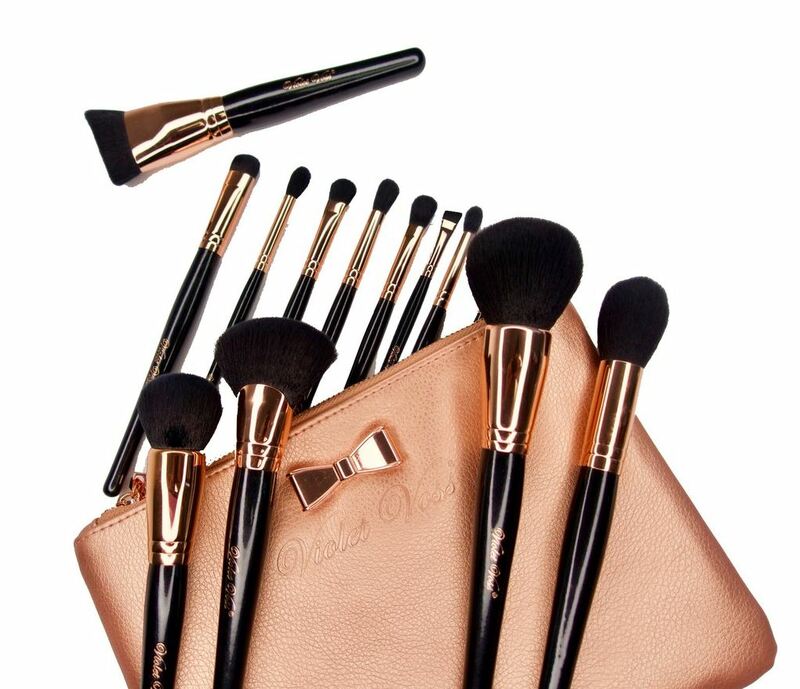 The complete fam includes 11 brushes and will cost $65 (yikes) and comes with a vegan leather Rose Gold bag (very cute, can’t deny). 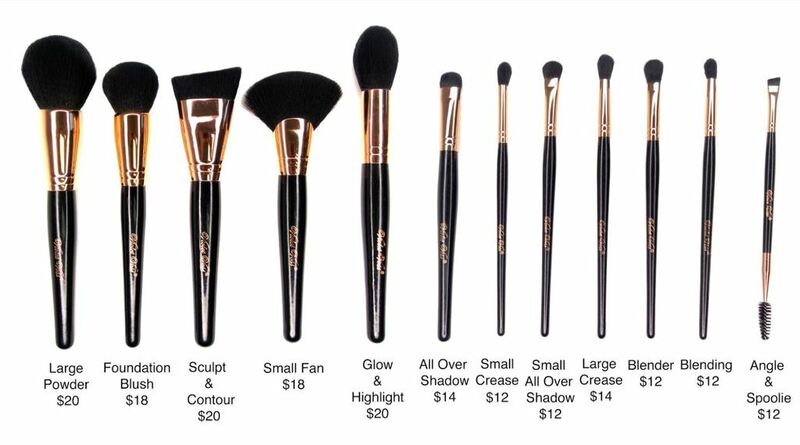 You will also be able to buy the brushes individually, too, of course! But we don’t yet know the specifics of the individual pricing. The beauties are made with ultra soft synthetic fibers and are each individually handmade and shaped. Nice touch, I guess? The copper ferrule is designed to be the perfect weight to balance the brush just right, too! We always love when products are kind of heavy, ya know?? Makes it feel more high quality or something I suppose. They will also be releasing a Ultra Luxe Pro Brush Soap along with these for $15. And while, yes, we are still yawning because we see new brush sets 6 times a day and they’re all just the same just with variations to the design and color scheme, we will admit this (along with the brush soap) would make an awesome Christmas gift! If you have beauty lovers in your life or know someone that is just starting out with makeup, this set would be so totally perfect! It’s luxe, for sure, and a super generous gift, but it would be everything they need to get started! Plus, it’s gorgeous and would look stunning sitting out on a vanity, too, so we love that! We aren’t sure about their performance yet, of course, as this is the first brush collection from VV but we will update here once we have reviews to share!